Metropolitan Police Commissioner Sir Ian Blair claims the UK is facing an unparalleled and growing threat of a terrorist attack. However, he said there was "no specific intelligence" about an imminent attack but the threat was "ever present". Sir Ian also said he was "confident" of being cleared of misconduct over the killing of Jean Charles de Menezes. And he defended an anti-terror raid in Forest Gate, claiming the shooting of a man during the raid was an accident. 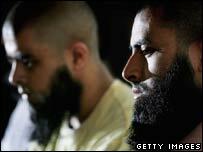 Subsequent terror plots justified the decision to launch the operation, he told the BBC's Today programme. Defending the high security levels which have been maintained in London, Sir Ian said the threat of terrorism was "far graver" than those faced during World War II, the Cold War or the IRA. He said although there were no details about a terrorist attack during the Christmas period, the country faced a "level of unparalleled threat". He added: "I think the threat of another terrorist attempt is ever-present. "We have no specific intelligence but listeners may remember that there was a terrorist plot in Germany against one of their Christmas markets in 2002, so it's a possibility." 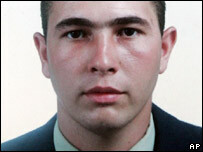 The Independent Police Complaints Commission (IPCC) is conducting an inquiry into the death of 27-year-old Jean Charles de Menezes in July 2005. He was shot inside a train at Stockwell Tube station by police who mistook him for a suicide bomber. Sir Ian said: "I'd say this: I, for my own part, I am quite confident that I will not face any kind of misconduct... in relation to Stockwell." When questioned about his confidence, he added: "I'll just say that I'm confident, shall we leave it at that?" The commissioner criticised the length of the inquiry, adding: "It's difficult to understand how an organisation can take 13 months to investigate what I did or did not say on one particular day." Defending the Forest Gate raid, which cost police £2m, Sir Ian said officers had to take tough decisions. "I describe that as a cliff-edge choice, if you fall one way you knock your head on the rock and the other way you fall 200ft into the sea. "We have learnt a lot from Forest Gate and you saw that in the way we handled the airline plot." 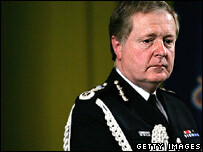 Sir Ian also said that officers were so overwhelmed by paperwork that their work was suffering. "When I was a young officer I could carry out three straightforward arrests in eight hours. No officer could do that now... now it's one (arrest)." What happens when police kill?